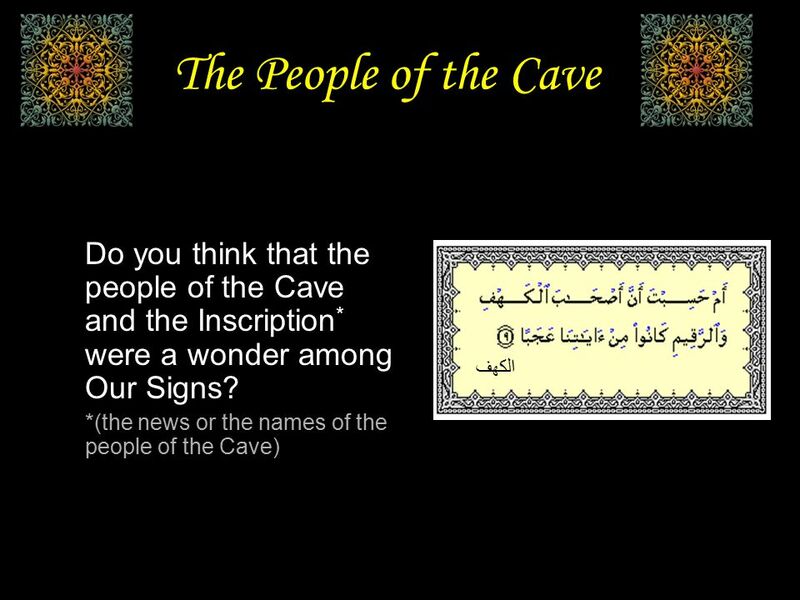 The People of the Cave ” أَمْ حَسِبْتَ أَنَّ أَصْحَابَ الْكَهْفِ وَالرَّقِيمِ كَانُوا مِنْ آيَاتِنَا عَجَبًا “ الكهف 9. 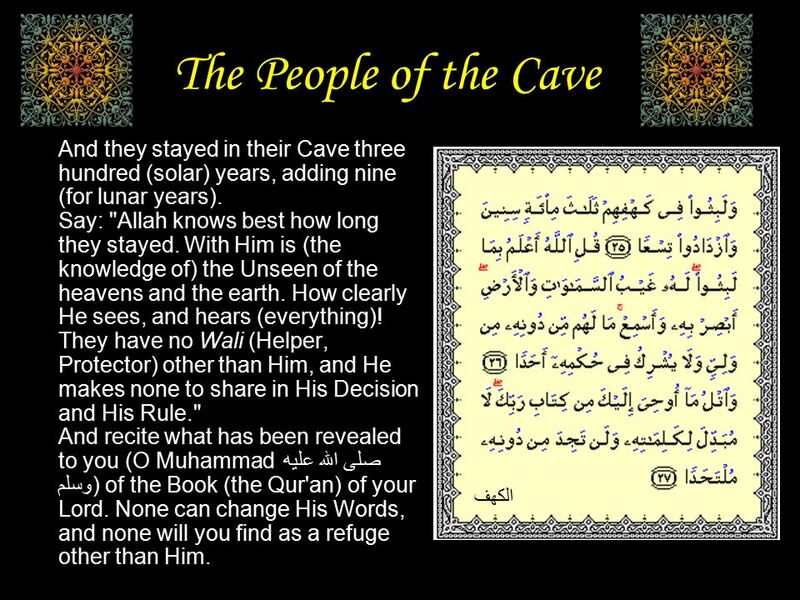 Download ppt "The People of the Cave ” أَمْ حَسِبْتَ أَنَّ أَصْحَابَ الْكَهْفِ وَالرَّقِيمِ كَانُوا مِنْ آيَاتِنَا عَجَبًا “ الكهف 9." 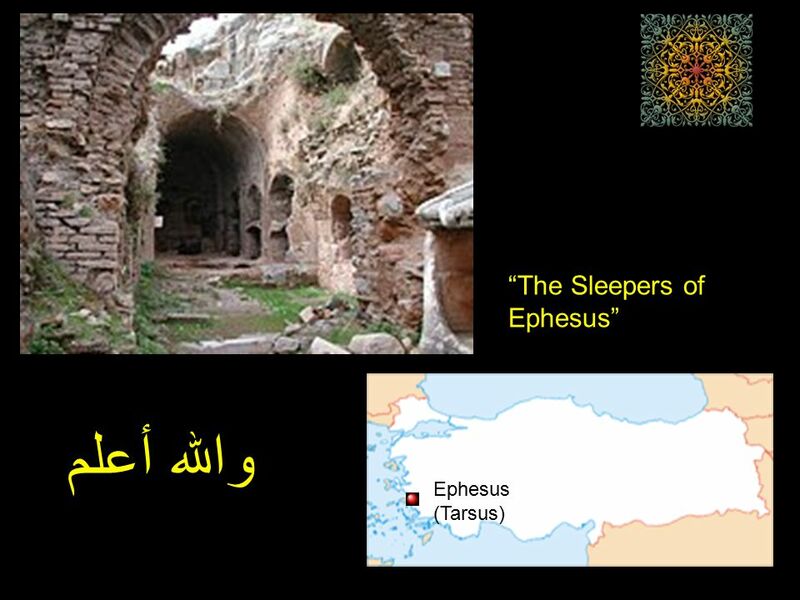 The Substance of Faith An Evidence and Foundational Christian Curriculum Conclusion. 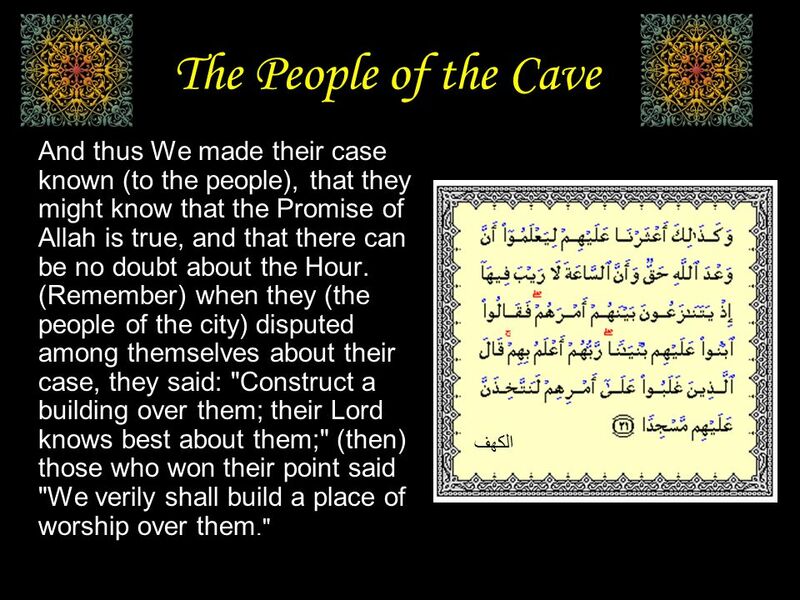 Abu Ad-Dardaa reported that the Messenger of Allaah (sallallaahu ‘alayhi wa sallam) said, “Anyone who memorizes ten aayahs from the beginning of Soorat. 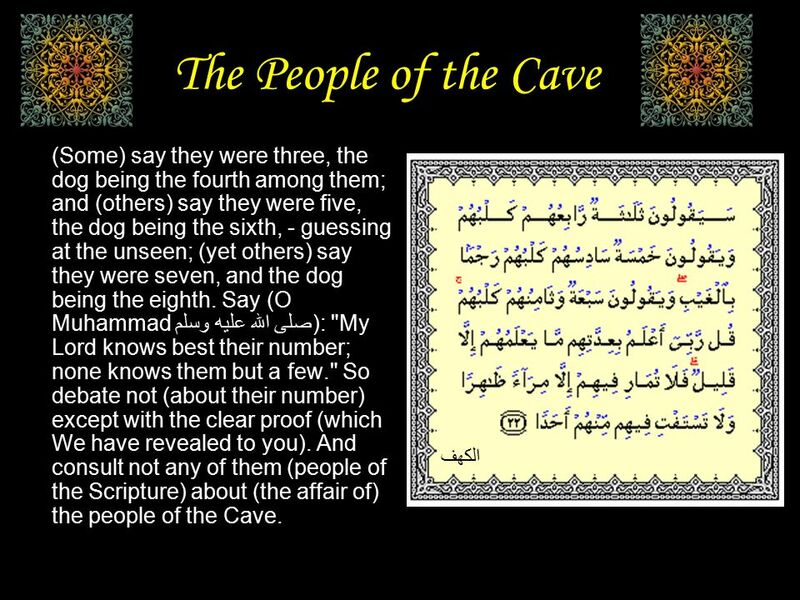 Musa (Moses) Peace be upon him موسى عليه السلام واذكر في الكتاب موسى إنه كان مخلصا وكان رسولاً نبياً مريم 51. God Is Great! God is great, God is good, Let us thank Him for our food. Amen. Made to Worship You and I were made to worship You and I are called to love You and I are forgiven and free When you and I embrace surrender When you. The Man with the Two Gardens ” وَاضْرِبْ لَهُمْ مَثَلًا رَجُلَيْنِ جَعَلْنَا لِأَحَدِهِمَا جَنَّتَيْنِ مِنْ أَعْنَابٍ وَحَفَفْنَاهُمَا بِنَخْلٍ وَجَعَلْنَا. 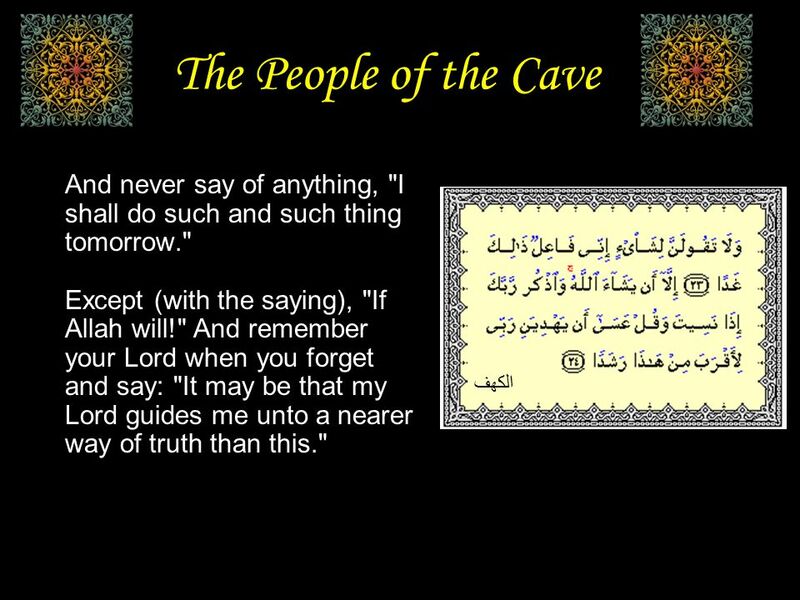 (And when My servants ask thee concerning Me, I am indeed close (to them): I respond to the dua (prayer) of every suppliant when they calleth on Me - Quran. 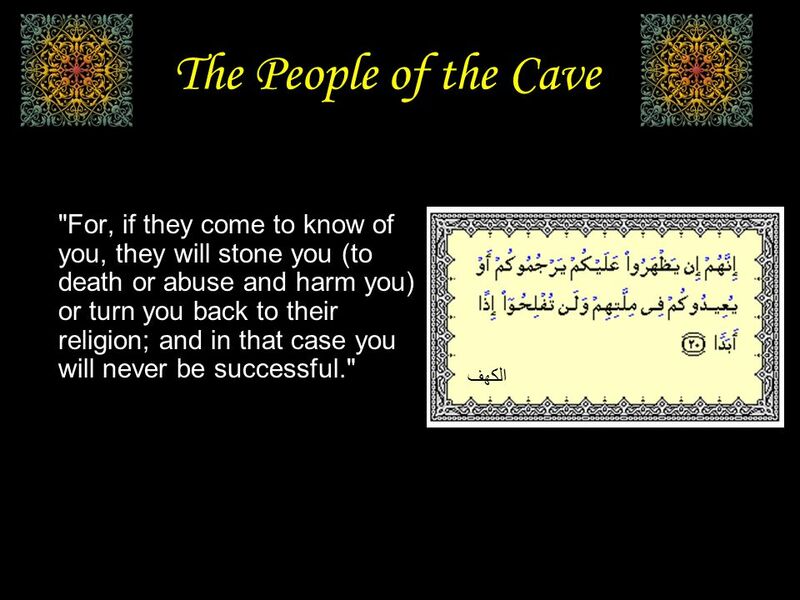 The Believer of Ya-Seen ” و جاء من أقصى المدينة رجل يسعى “ يس 20. A cry for revelation Eph 1:15-19; Isaiah 6:1-8. There is nothing to measure the greatness of GOD!!! Here are few examples Sound on. Slides advance automatically.